CFO Mark Garrett gives the low-down on how the company completely changed the way it did business in just three years' time. In the broad business-model shift that has swept through the software industry over the past decade, has any large company in that field — let alone a publicly held one — pulled off the transition as speedily, thoroughly, and successfully as has Adobe Systems? In November 2011, the company announced its intention to move away from selling its digital-media creative and design tools — which represented about half of its revenue base — in the form of so-called “boxed” (or perpetual-license) software. Instead of paying hundreds of dollars up front and getting product updates every 18 to 20 months, customers would be able to buy a subscription at a far lower price point to get access to cloud-based tools that would be updated as often as monthly. Adobe’s CFO since 2007, Mark Garrett, had no doubt that the change, which many other software companies had made or were in the process of making, was necessary. That didn’t mean he wasn’t nervous about telling stock analysts and big investors about it, because making the move meant that the company’s financial results would have to get worse before they got better. Indeed, Adobe’s net earnings fell for the next three years, from $833 million in 2011 to $268 million in 2014, as the company sold less and less boxed software and converted more and more customers to the recurring-revenue model. In May of 2013, even as earnings were continuing to fall, Adobe announced that there would be no more new releases of its perpetual Creative Suite, and the following year it began phasing out sales of the product. Adobe had licensed its perpetual Creative Suite to about 13 million customers and expects to exit fiscal-year 2015 with approximately 5.9 million Creative Cloud subscriptions. As of the fiscal year’s second quarter, the number of subscriptions was 4.6 million, more than 20% of which were new customers of the company’s tools for creative professionals. In a fundamental respect, what Adobe did was nothing other than what many software companies had done and others were then doing as well. On the other hand, there is a healthy dose of uniqueness to its story. It’s quite common today for companies to tell a story of near tragedy during the Great Recession followed by a gut-wrenching but heroic revival effort that beat the odds. Adobe fits that mold. Until 2008, the company was doing well with its perpetual model, but when the recession blew in, Adobe, stuck without any recurring revenue, was hit hard as consumers and businesses alike made fewer big purchases. Adobe tested making its creative tools available via subscription in Australia and was encouraged by the number of customers that switched and by the number of new ones picked up. But it sensed that for the effort to succeed broadly, it would have to do more than simply offer a subscription option. The product that was developed, Creative Cloud, was designed to leverage the cloud: to store content, to work seamlessly across both desktop and mobile devices, to enable collaboration, and to allow additional services to be built on top. Improving the product and user experience was among several key reasons why Adobe was able to accomplish the business-model transformation more quickly than expected. “We did a lot of things right,” says Garrett. 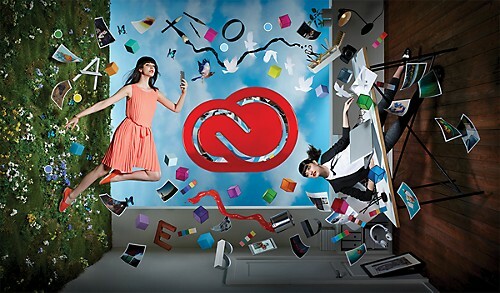 Adobe used its own products to create this depiction of the applications and services in its Creative Cloud package. Adobe’s performance was actually brightening well before this year, even if it wasn’t showing up in the income statement. Other metrics the company began tracking after switching to the subscription model gave Wall Street a new story. Two of the most important were average revenue per user per month, or ARPU; and annualized recurring revenue (ARR), which is the number of subscribers times ARPU times 12, plus the value of Creative Cloud enterprise term license agreements — volume-based deals with large enterprise customers that terminate after a set time, often three years, and are not included in the ARPU calculation — for the subsequent four quarters. Other metrics, common to software subscription businesses, included deferred revenue (contracted and billed future revenue that will move to the income statement as reported revenue in the next four quarters) and unbilled backlog (contracted but not billed revenue beyond a year’s time). To say that the company’s story resonated on Wall Street is something of an understatement. Its stock, which had been performing unevenly before the November 2011 announcement and was trading far below its high-water mark, began rising almost immediately, albeit slowly. The price improvement began to gather momentum starting in late 2012 and never looked back. The stock surpassed its all-time high in May 2015 and at press time was trading at almost $87, compared with less than $30 three and a half years earlier — far outpacing the gains of both the S&P 500 and the Dow Jones Industrial Average during that time. 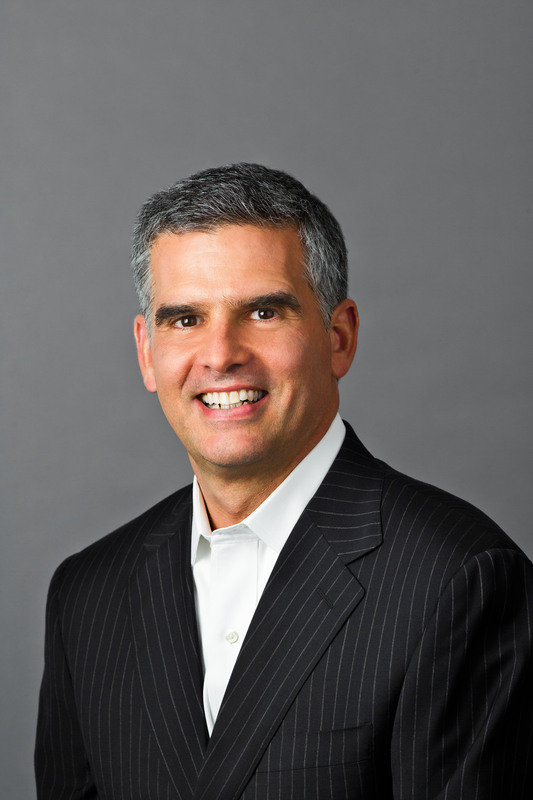 Now that the business-model transition has been executed, and it remains the case that, as Garrett points out, the worldwide population of creative professionals is not rising at breakneck speed, how will Adobe continue to grow? The third path to growth is driving higher ARPU per customer by selling add-on services like Adobe Stock, a stock-content marketplace that the company picked up with its acquisition of Fotolia in January 2015. Aside from the creative segment, Adobe’s other businesses, which also are cloud-based, are document services (the Acrobat product line) and digital marketing automation and analytics (the Omniture platform, which the company acquired in 2009). Each of those is about half the size of the creative business.